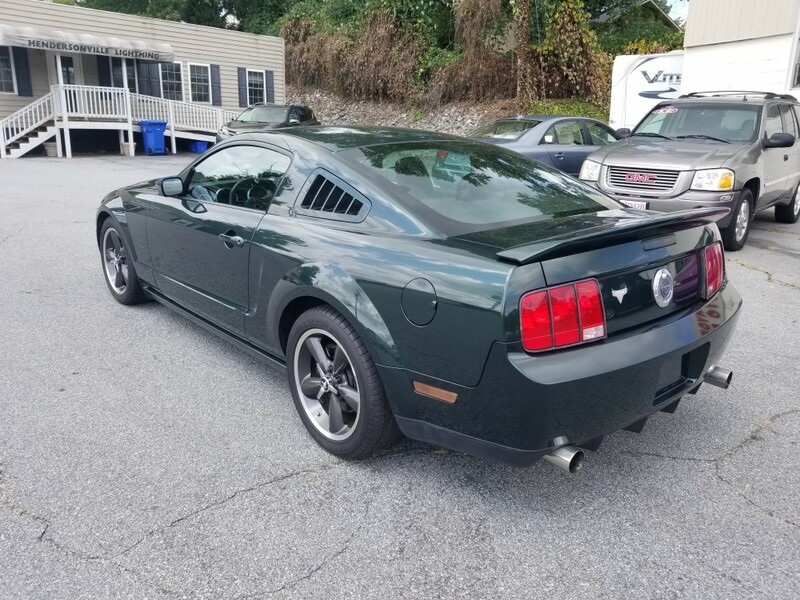 Now available by The Motor Masters is a 2008 Bullitt Ford Mustang GT for sale. 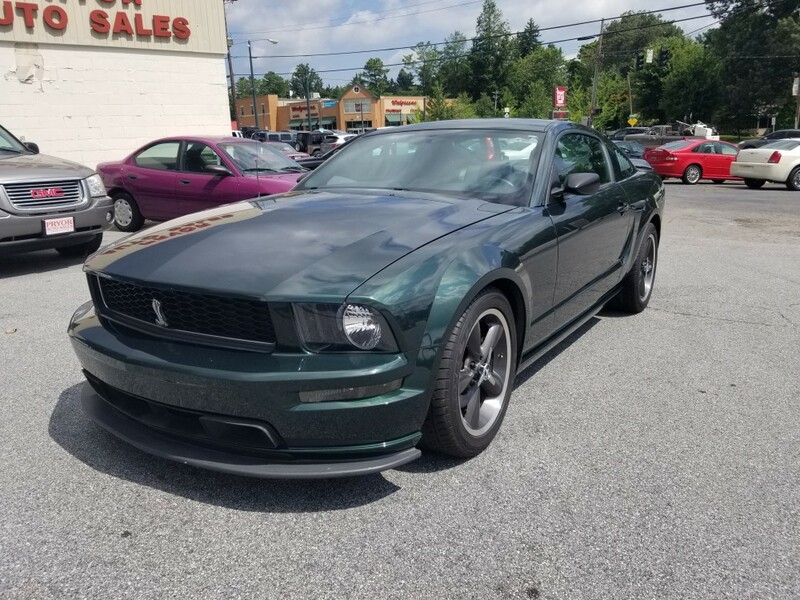 Very few times is their an opportunity to buy a car that has direct lineage to arguably the most iconic car chase in cinematic history becomes available. 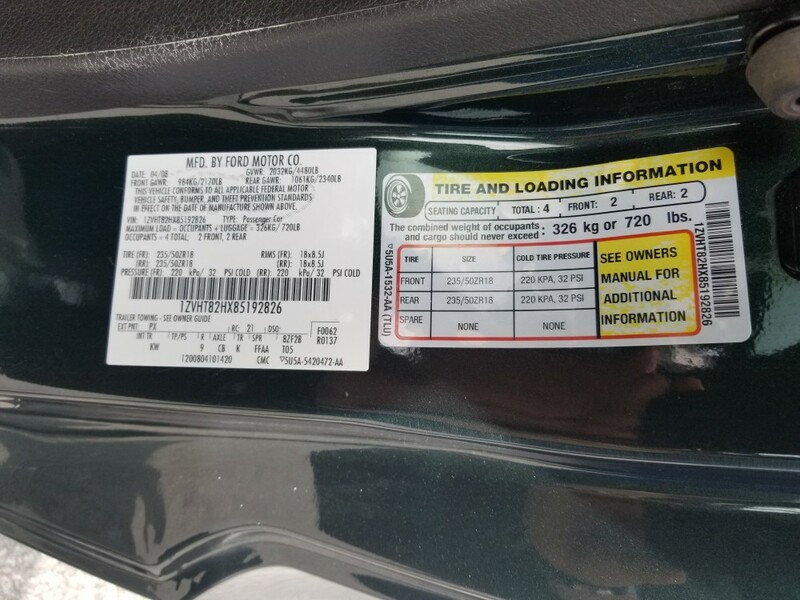 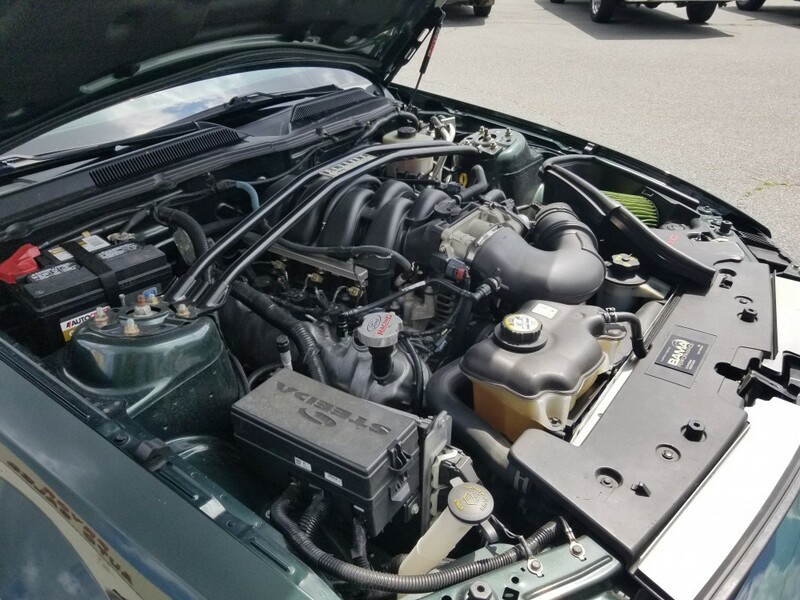 It becomes even rarer when the car in question has low mileage, is in very clean condition, and shows up with a clean history report to confirm that it’s avoided any accidents over the years. 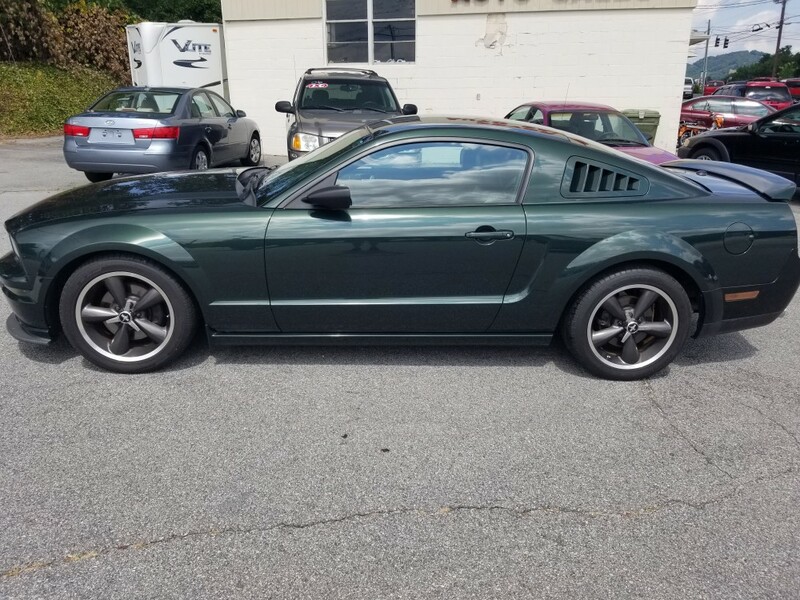 Yet that’s what this 2008 Ford Mustang Bullitt GT has to offer. 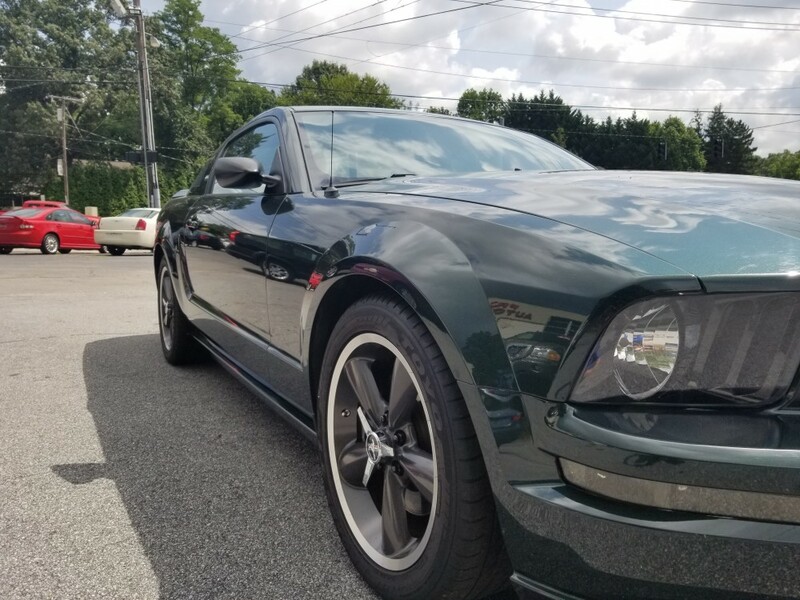 The Highland Green metallic paint is the exact shade of the 1968 Mustang 390 GT Fastback Lt. Frank Bullitt drove in the movie, and it’s in very nice shape on this 2008 Ford Mustang Bullitt GT. 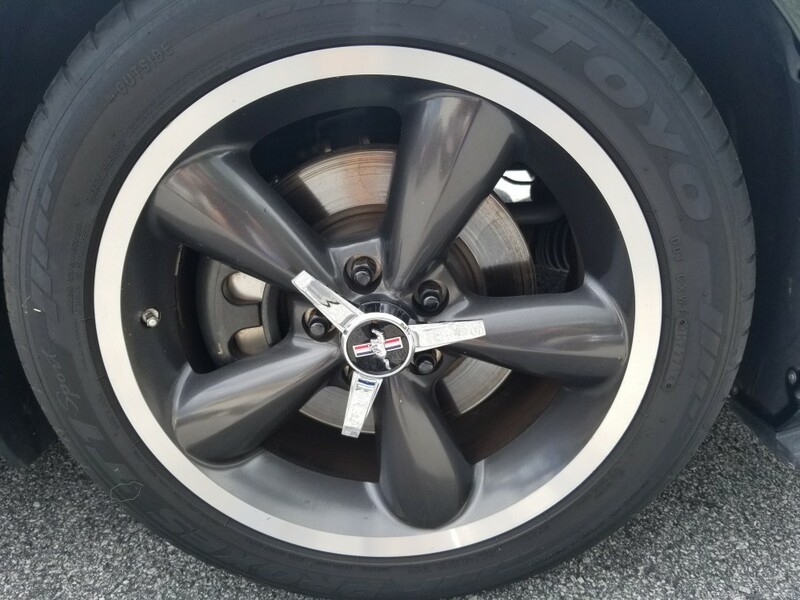 But, color isn’t the only attribute to its cinematic inspiration. 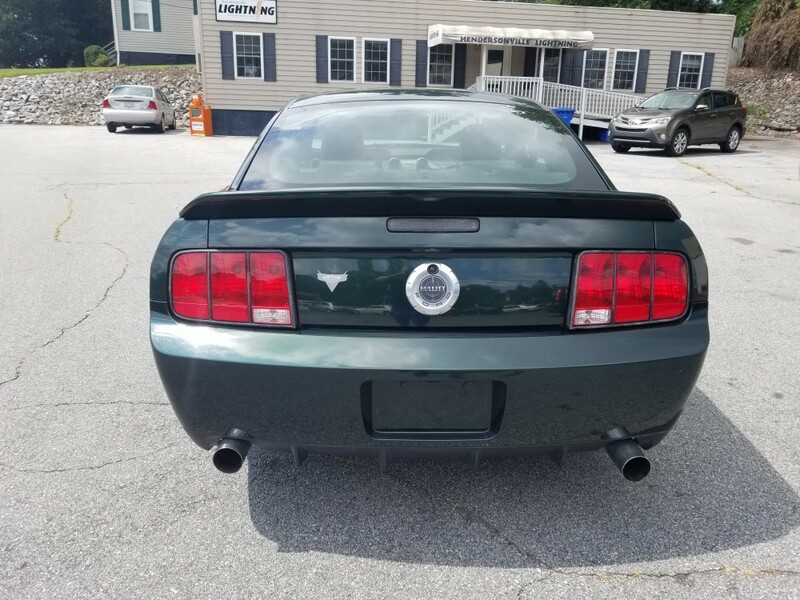 With no chrome at all on the Mustang, and only the aluminum fuel door to differentiate with its color of the usual GT spoiler and badging, this is a special-looking performance car that really excites you. 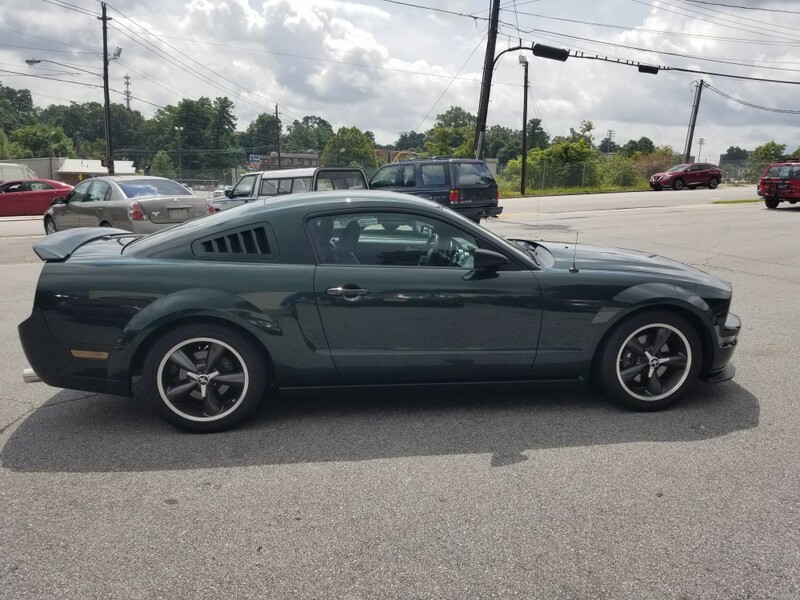 Had Frank Bullitt been enforcing the law 40 years later, this very likely would have been the car he would drive. 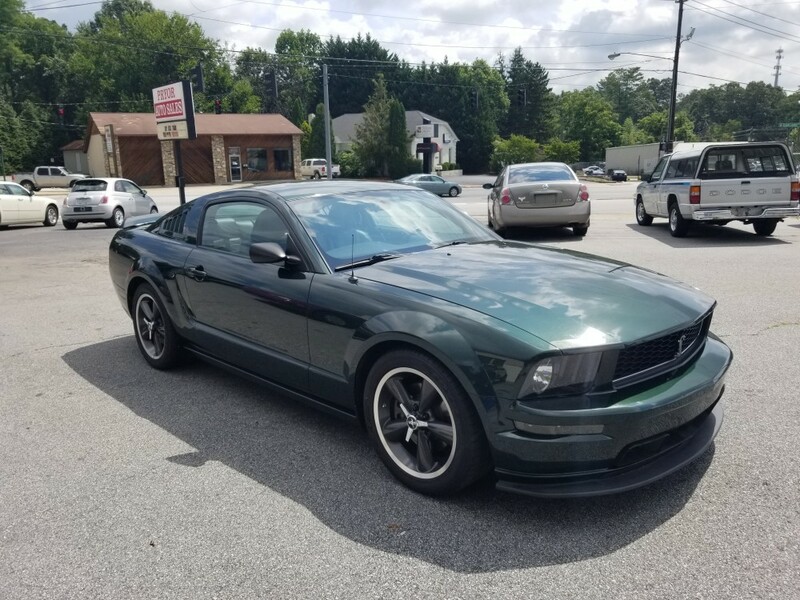 Thankfully, it’s been left in stock configuration and is looking just as street-ready as you could want. 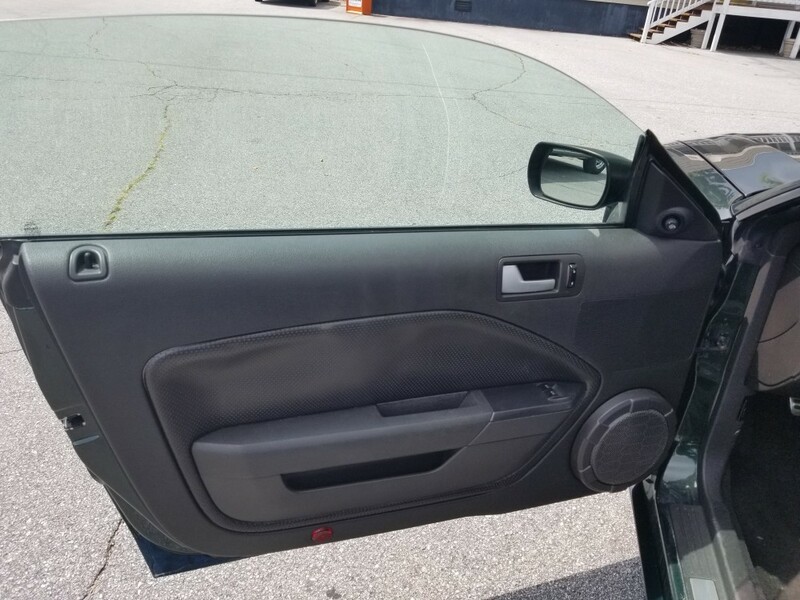 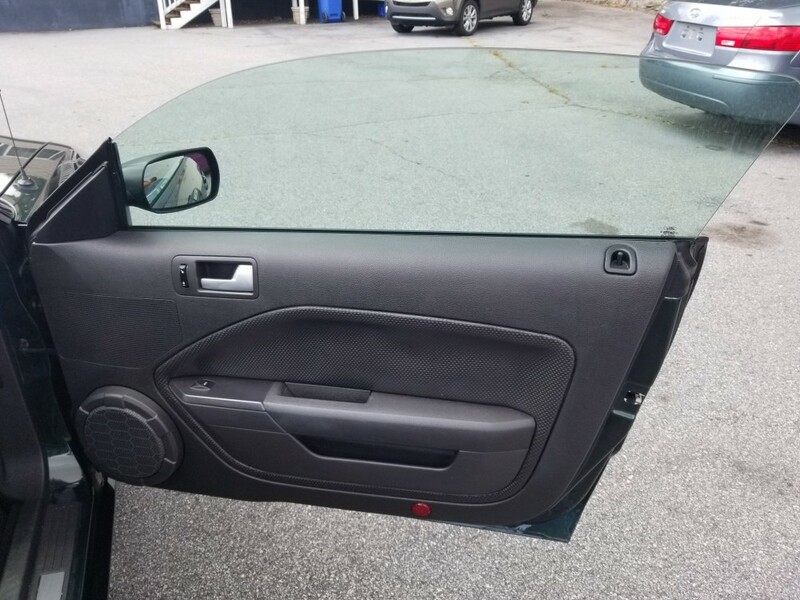 Ten years later, the paint still shines, all four sides have clear glass, surrounded by rubber seals that still look fresh and, having no accidents, it’s retained the alignment it rolled off the assembly line with. 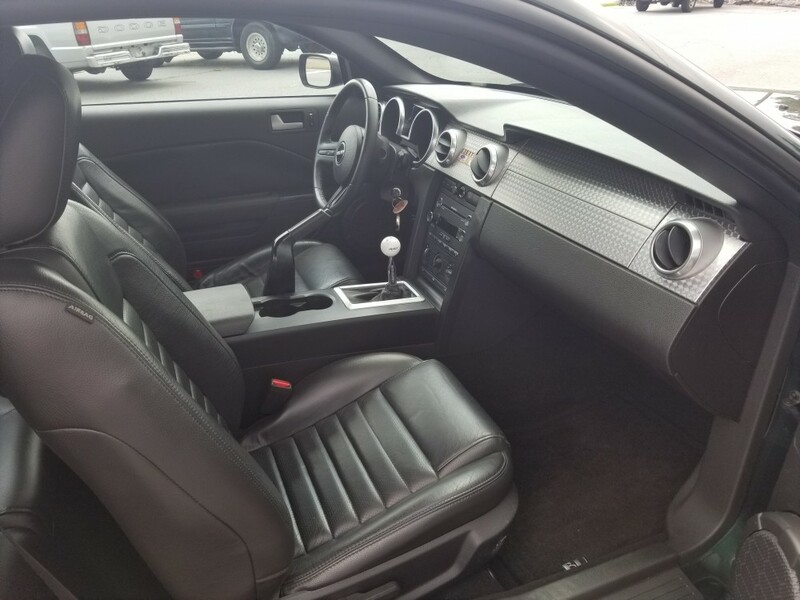 Inside, you’ll immediately see some distinctions that set this black leather interior apart from the Mustang norm of the time. 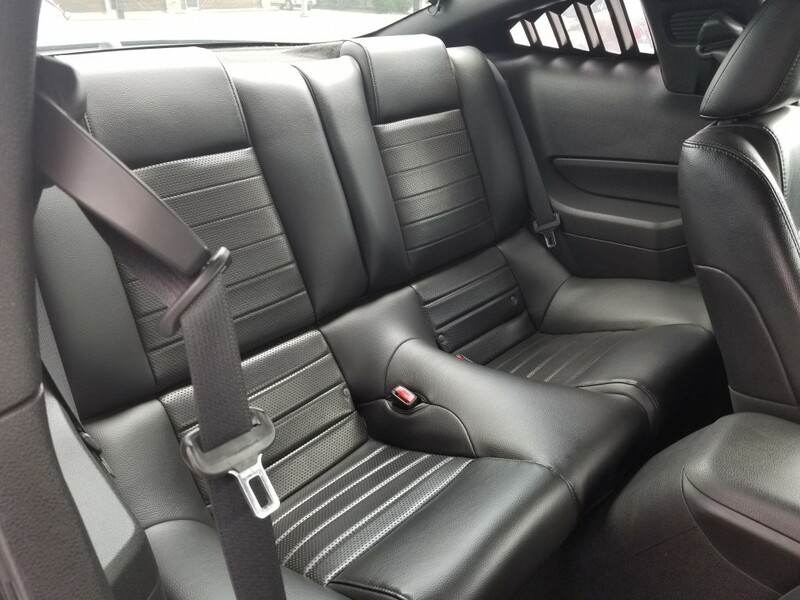 Having special edition status, it features both front seats and a steering wheel inspired by Mustang GT-500s. 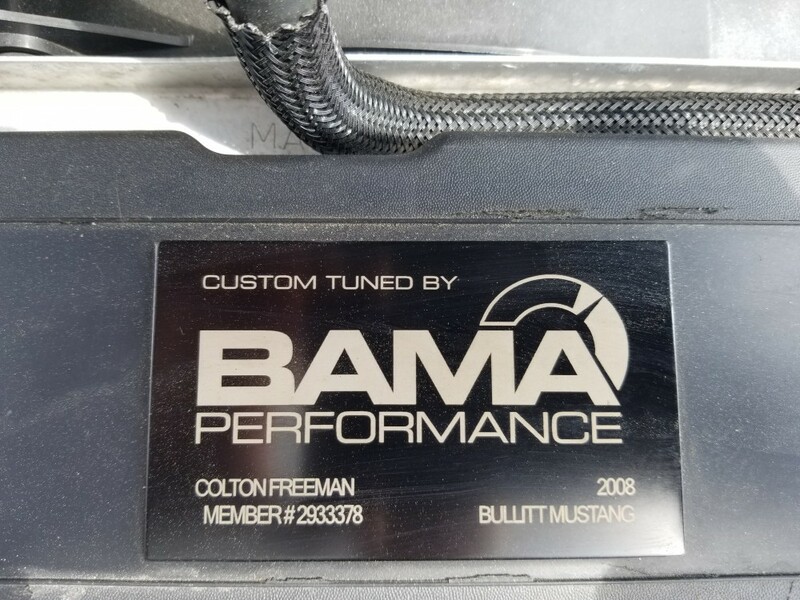 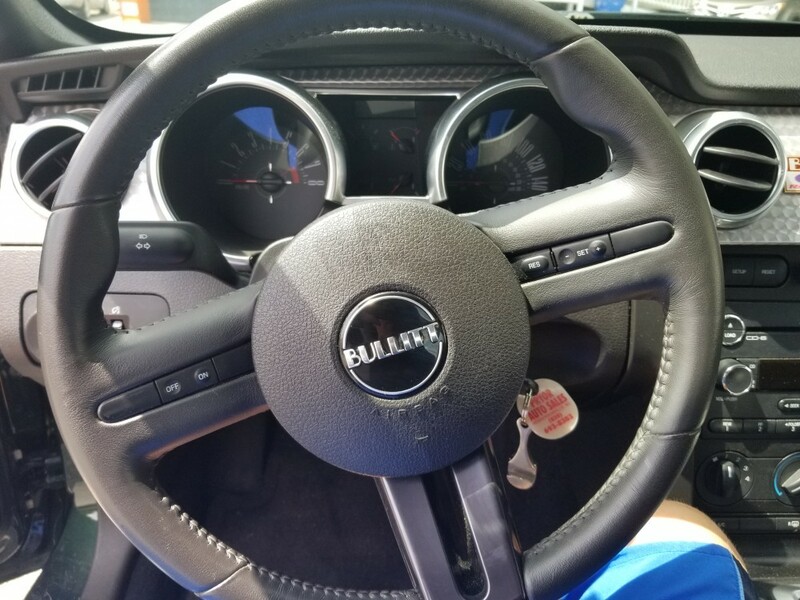 Beyond the Bullitt-badged steering wheel, you’ll see an aluminum dash panel running the width of the car, and an instrument cluster whose gauges are very similar to those of classic Mustangs. 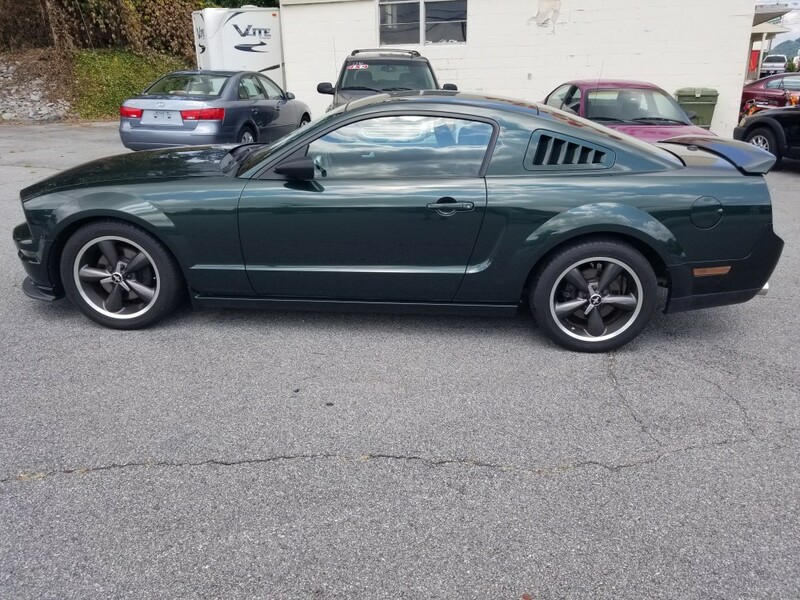 While Frank Bullitt preferred quietness as he drove on his high-speed chases, your audio needs will be well looked after via the Shaker 500 AM/FM/CD Player System sitting front and center in the dash to power the array of speakers, including a set of subwoofers in the trunk that are in good working order. 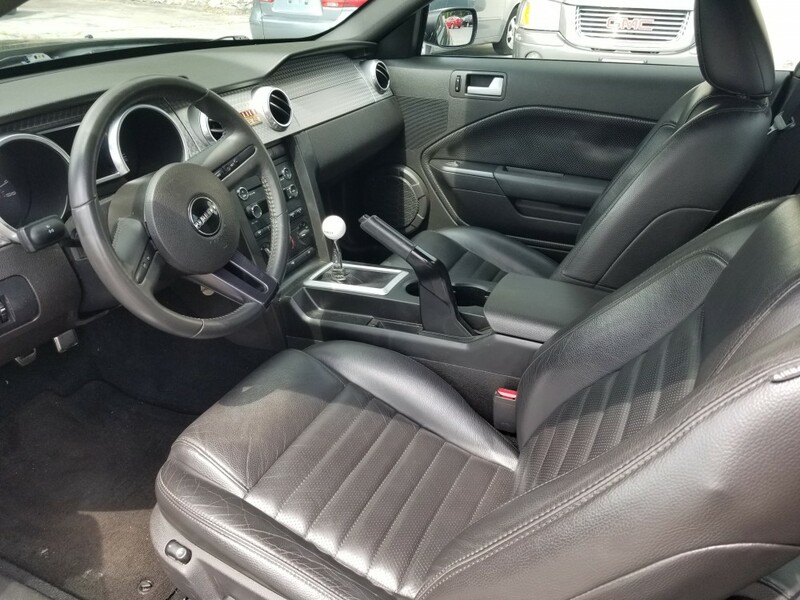 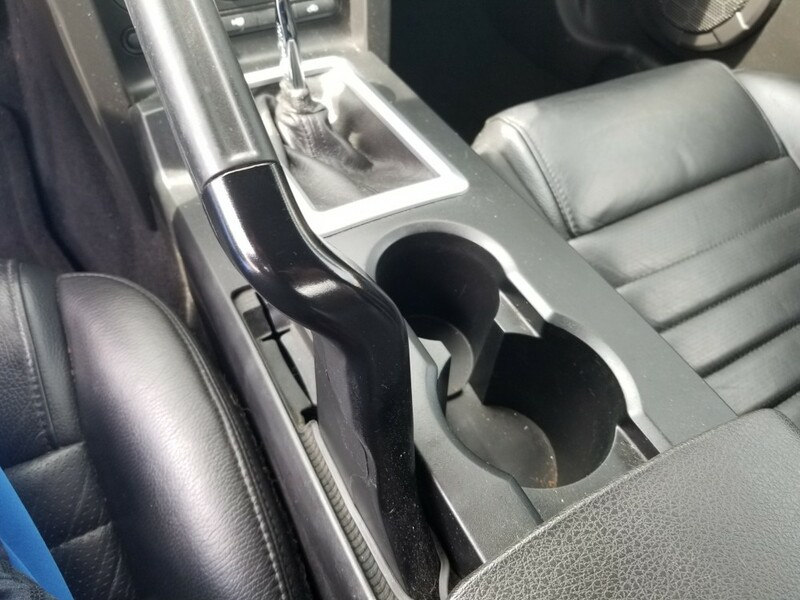 The comfort features are all present here, including air conditioning that blows ice cold, cruise control, power seats, power door locks and power windows. 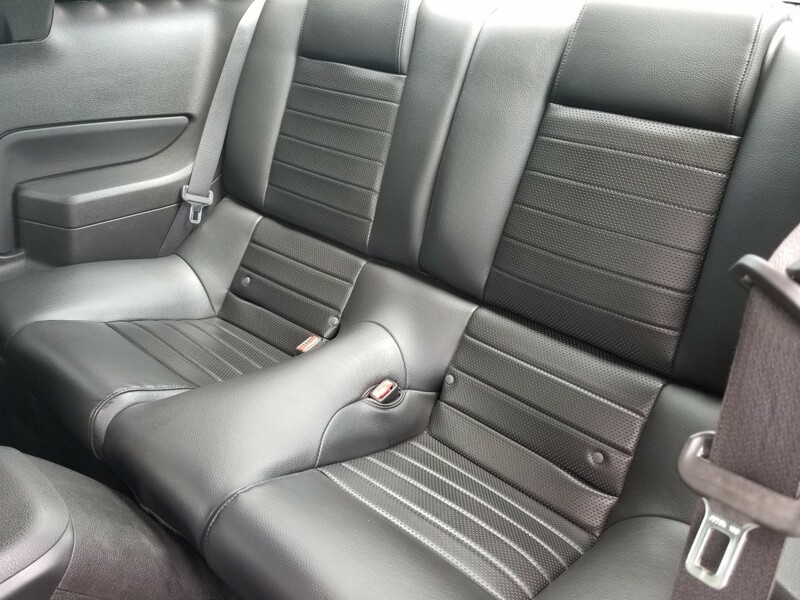 Dual airbags comes as a safety feature. 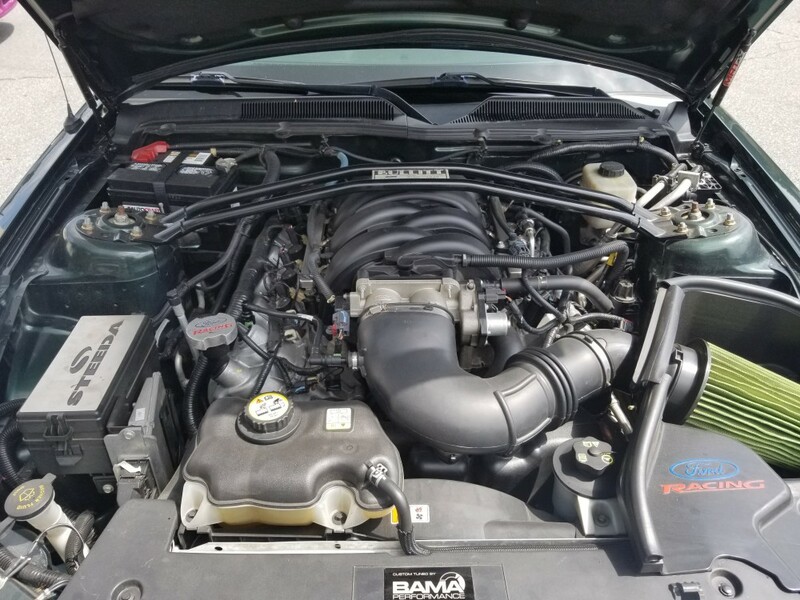 The Powerful 4.6L V8 benefits from some tuning tweaks by Bama Performance to offer more horsepower than the standard-issue GTs of its era. 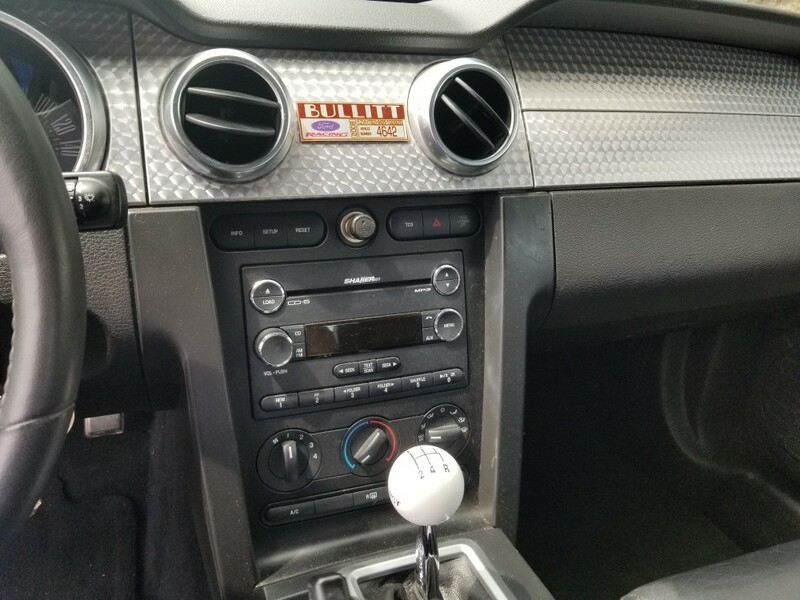 Has a Tremec 5-speed manual transmission and live axle that allows for improved acceleration. 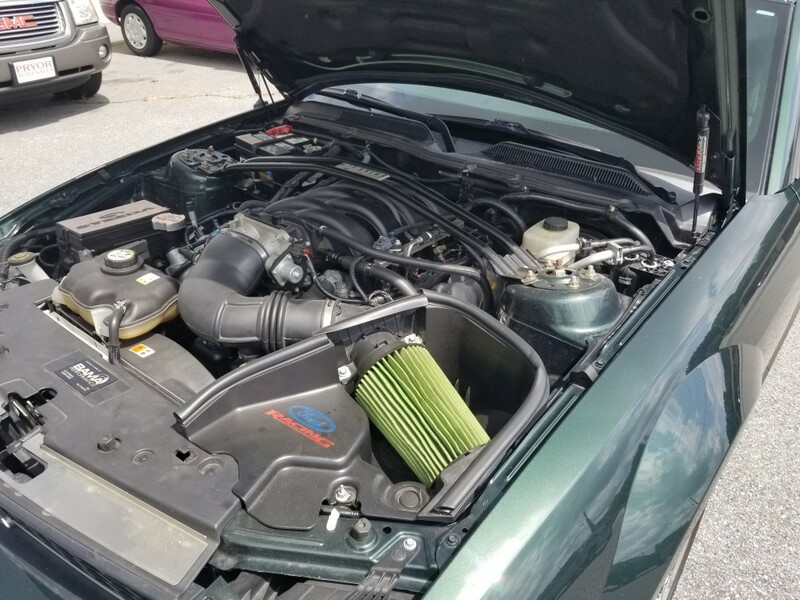 A K&N filter was added to feed the powerplant a supply of cold, dense air, to give this Mustang more power. 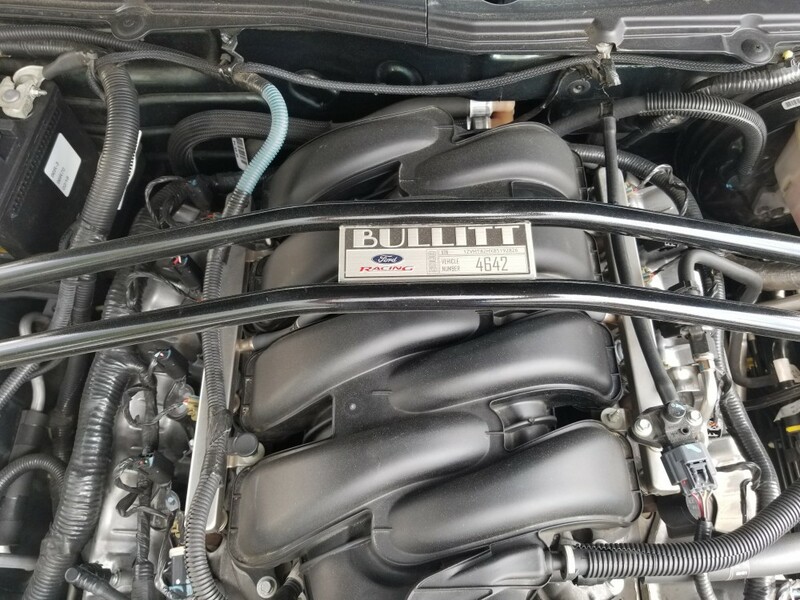 With only 54,631 miles on the Bullitt, this engine still has it’s performance. 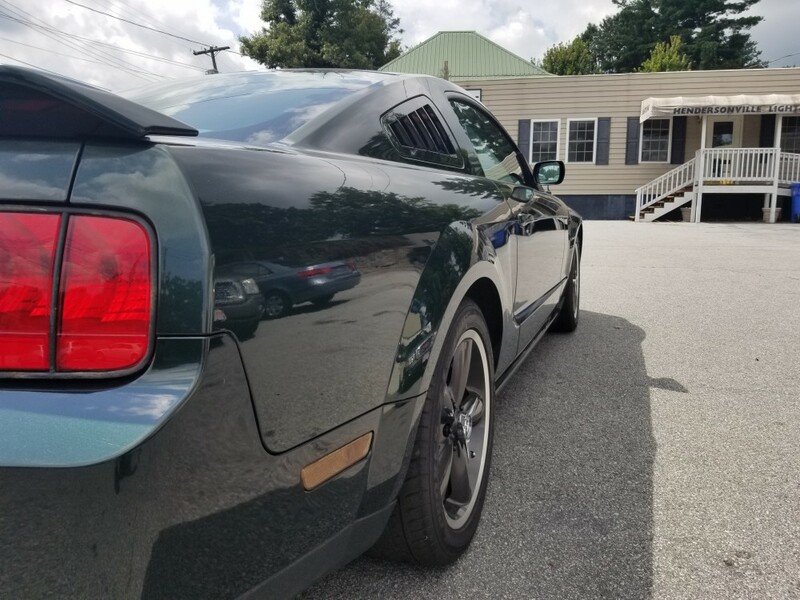 Turnkey and ready to go, that deep throaty sound you’ll hear just makes you want to get in and head to the Race Track. 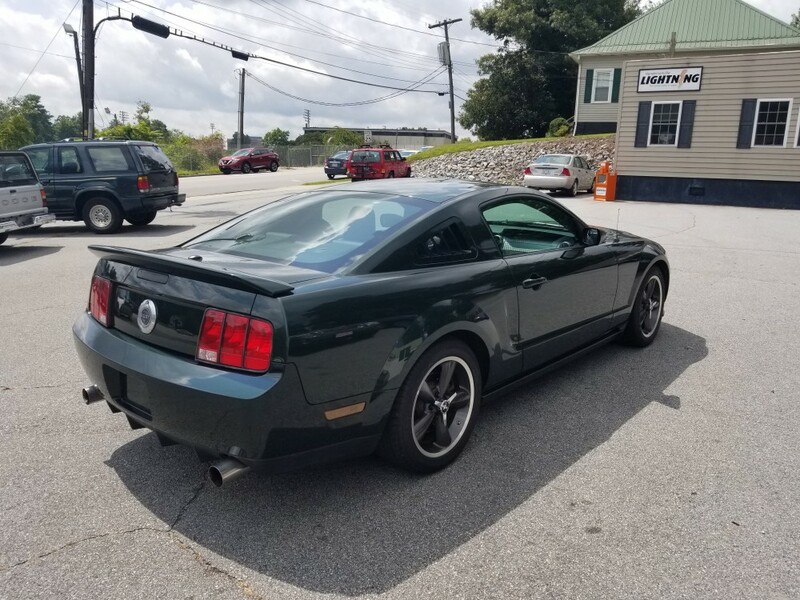 This collectible performance car drives and rides better than other GT Models, as it has a set of special edition 18″ Bullitt wheels and Toyo radial tires. 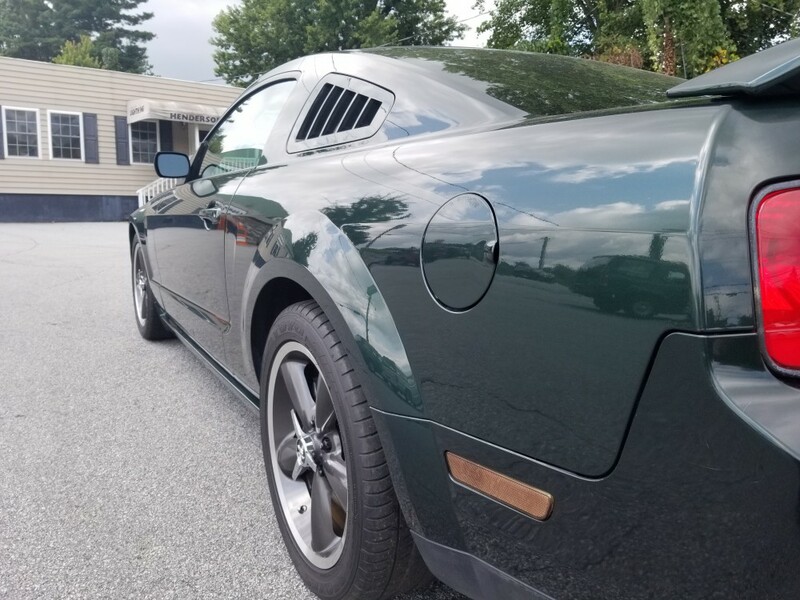 Here’s your opportunity to own a piece of automotive history. 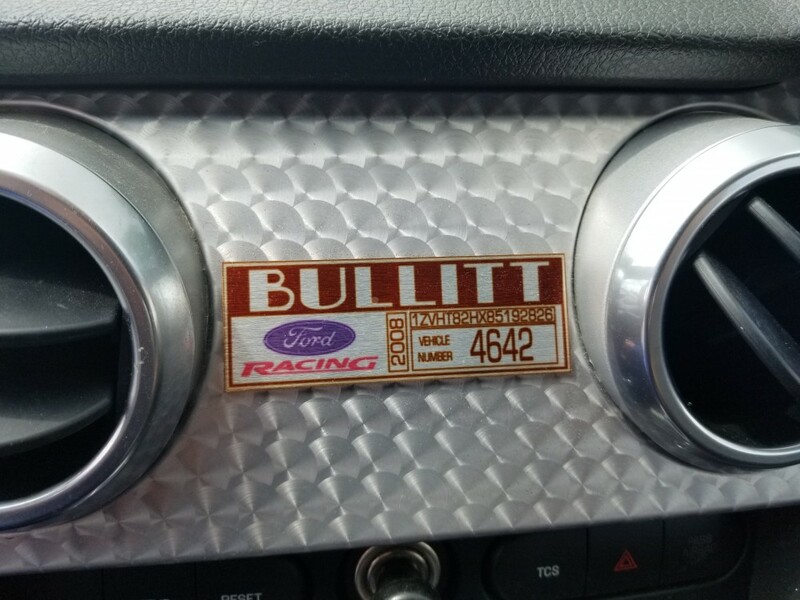 A modern tribute to an Iconic Car and Movie History. 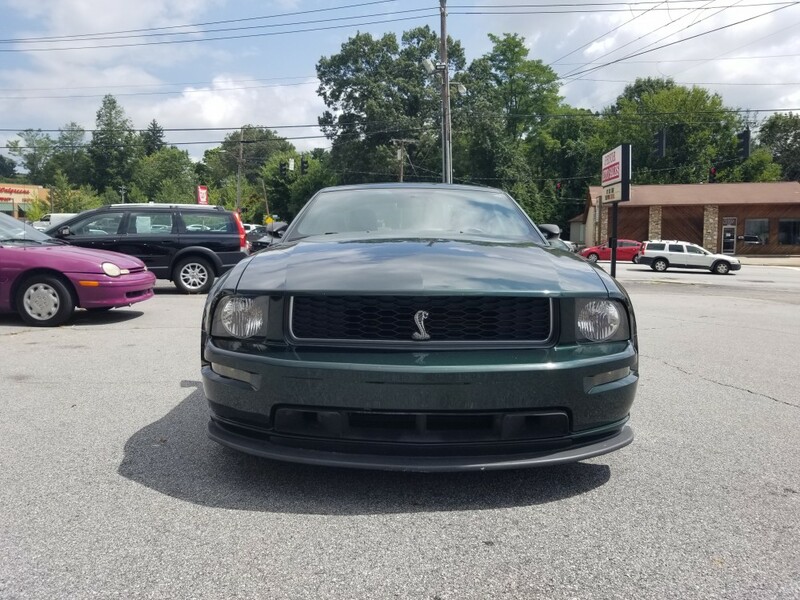 Priced to sell and go home to a Mustang Collector. 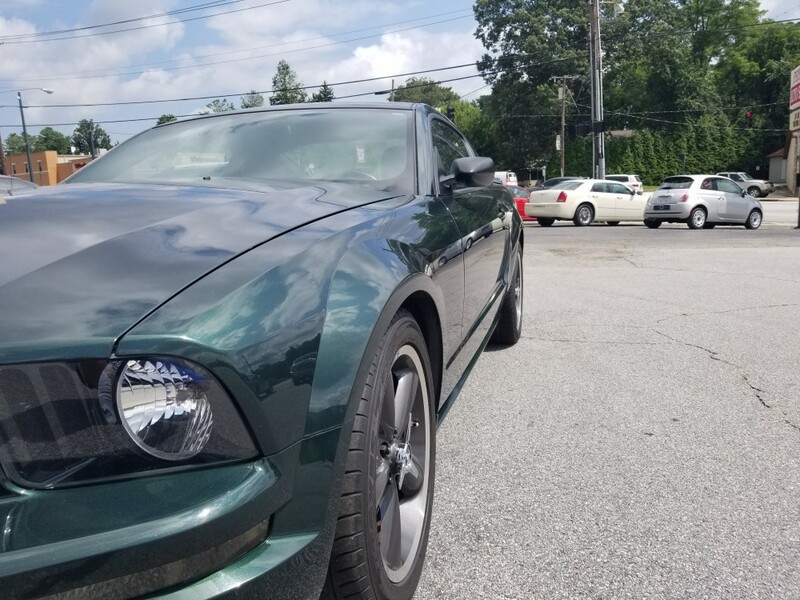 This won’t last long so give us a call TODAY!